Step off, ladies, because Spence is ALL MINE! Seriously, this hero is sweet, caring, adorable, kind, and HOT! He’s literally the perfect hero. 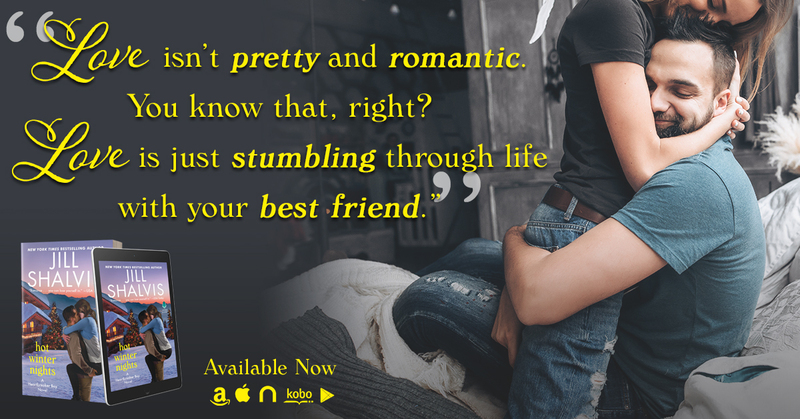 And of course Jill Shalvis has written his perfect match in Colbie, who is just as kind and exactly what Spence needs in his life. I LOVE the meet cute in this book and was rooting for them from the start. I just love how the two of them found reprieve from life’s pressure and drama in each other and fell for them immediately. This book had me smiling chapter after chapter, and it has such a lovely holiday spirit that makes me yearn for cooler temperatures and sneaking kisses under the mistletoe. Really, you know Jill Shalvis is going to deliver a story you’ll just adore every time, and this book really hit it out of the park. There’s such joy on every page, and these are charters you’ll want to revisit time and again. Another five star read from Jill Shalvis!